Discover the hills and valleys of the Blue Ridge. 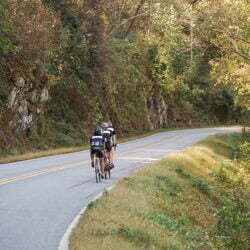 Ride the valleys or conquer the big mountains, including the Blue Ridge Parkway. Pedal to the Biltmore Estate, craft breweries, and much more! Stay in outstanding accommodations like the Grove Park Inn! 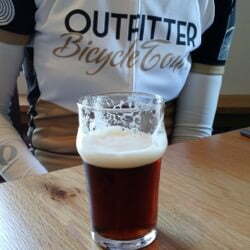 Asheville, North Carolina is easy to love if you’re a cyclist and into craft beer! With effortless access to pristine mountainsides, and more breweries per capita than any other city, Asheville is the perfect destination for the cyclist that enjoys thoughtfully crafted beer after a ride! If you’re not into beer, the arts scene, food culture, and historic sites are world-class. Experience one of our Asheville bike tours! Surrounded by lush national forests and filled with both classical and modern arts, Asheville and the local region have become the cultural mecca of the south! Enjoy the Blue Ridge Parkway, Biltmore Estate, and the best cycling in America in one vacation! There’s so much to experience in Asheville, whether it’s the vastness of our biking and hiking trails, or the local craft beer phenomenon! Completely Customized Asheville Bike Tours! Experience all that Western North Carolina has to offer. Your tour will likely start in Asheville, home to progressive culture, Thomas Wolfe, and the Biltmore Estate. Known for its craft beer, art districts, and music scene, Asheville has become a world-renowned holiday destination. Visit Brevard, the gateway into Pisgah National Forest, aka the “Land of Waterfalls.” To ride the biggest mountains in the east, venture north up the Blue Ridge Parkway to Burnsville and Mt. Mitchell. Extra excursions & options include a tour of the Biltmore House, mountain biking, canyoneering, hiking, climbing, rafting/paddling, and stand-up paddle lessons & tours. 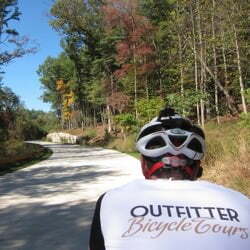 Outfitter Bicycle Tours Calls Asheville Our Home! We are proud to show off what we consider to be some of the best riding roads in the world. Come join us for one of our Asheville bike tours! Included in your tour fee in Asheville is the use of one of our Garmin Edge Touring GPS units for the duration of your tour. These easy to use GPS units provide an excellent worry-free routing method that you can depend on throughout your tour. When you arrive the daily routes will be preloaded, and ready for you to use each day of your tour. All you have to do is start the daily route at the beginning of your riding day, and follow the highlighted line! 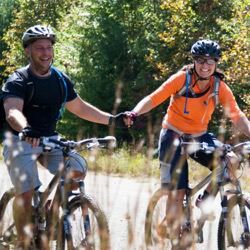 Self-Guided Bike Tours & Guided Bike Tours in Asheville, North Carolina, USA.